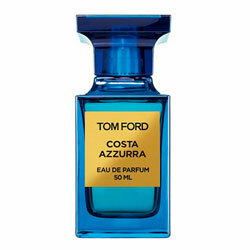 Costa Azzurra by Tom Ford - Tom Ford Costa Azzurra fragrance. A new woody aromatic fragrance for women and men inspired by the island woods of Sardinia. 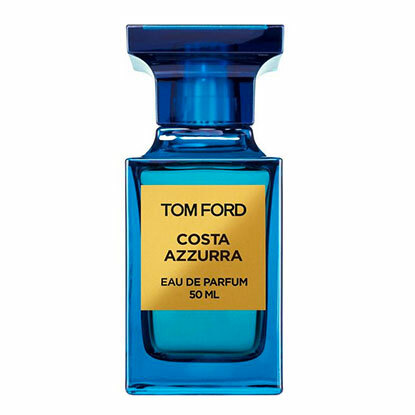 The latest addition to the Tom Ford Private Collection of fragrances. This perfume features the scent of "salty beaches, dry herbs, evergreen trees and driftwood." 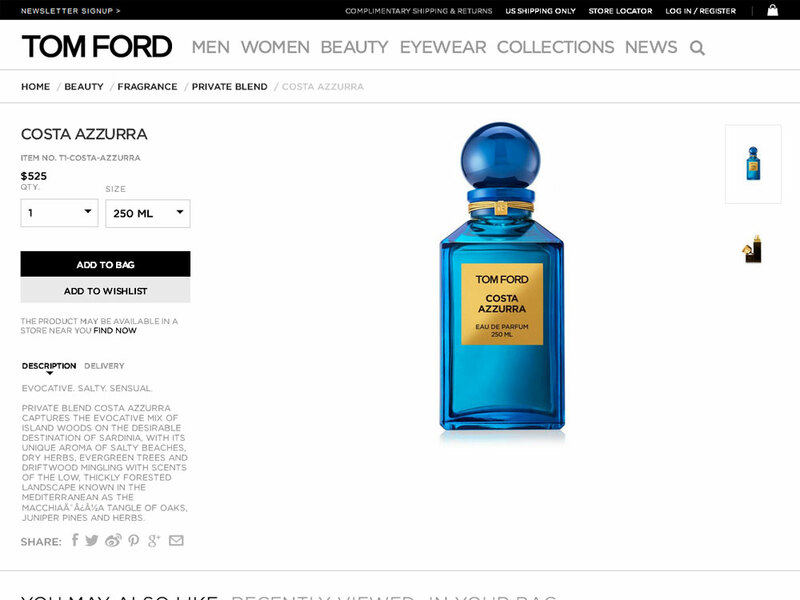 Package Designer Tom Ford Private Collection original bottles in blue tone with gold label. Nordstrom | Sephora - Free Shipping on orders over $50. Plus, 3 free samples with every order!